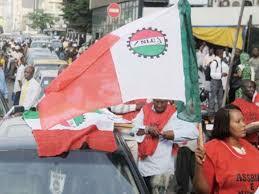 Just In: Workers’ Day rally disrupted in Abuja – Royal Times of Nigeria. The national Workers Day celebration in Abuja, has been disrupted for close to one hour as workers barred government officials led by the Minister of Labour and Employment, Senator Chris Ngige from delivering government speech. As at the time of sending this report, activities at the Eagle Square had been suspended for over one hour, while workers were leaving the venue in droves. Workers started throwing water cans to the officials when Police made attempts to drive them out of the podium. Meanwhile, Police have brought armoured cars to disperse the rampaging workers.